Oops! We forgot to publish the December 2016 and July 2017 Scraps! 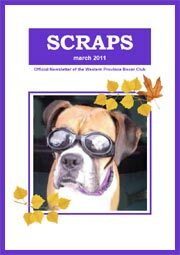 The Winter issue of the Scraps Newsletter as been published! Please join us at 9.00 for puppy socialization and a training session for older dogs (all breeds). Every one is welcome. Tea & coffee will be served. All puppies and dogs welcome after 2nd inoculation. Please bring water and water bowls for dogs, tasty treats and favourite toy along. All dogs to be kept on collar and lead. Please remember to pick up all dog pooh as the grounds are used for school activities. Pooh bags to be deposited in black bags provided, NOT in the schools bins. Thank you. SEE YOU THERE (weather permitting)! New puppy owners please note there has been Parvo Virus and Kennel Cough reported at various vets. Please ensure your puppies are not playing on public ground before their 2nd vaccinations are completed. Discuss with your vet. Please remember our Trophy Show this coming Sunday! It is a relaxed, informal event and perhaps you would like to come and try your hand at showing your Boxer? Who knows, without realizing it you might have a potential champion casually lounging around your home! 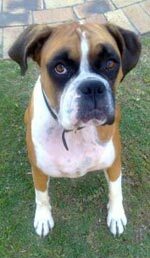 Even if showing your dog is not your thing, perhaps you would enjoy coming to watch and chat to other Boxer enthusiasts. We would love to have you there. Below is the schedule for the Aptitude Test planned for the weekend of 9th/10th May 2015, as well as some info on what aptitude tests are all about. There are two slots still available for Boxers – 10:30 on the Saturday and 14:30 on Sunday. 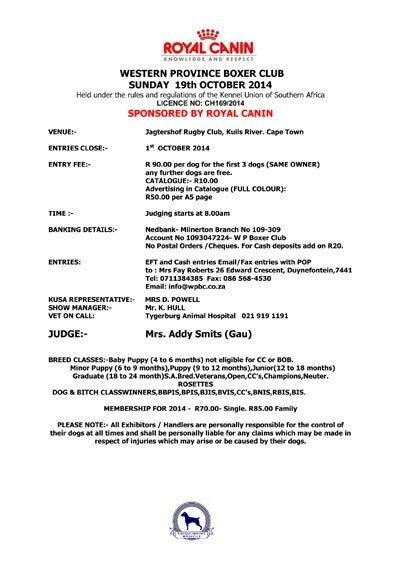 If you are keen to enter, please do so asap, otherwise these slots will go to other breeds who wish to enter. Boxers usually do very well in these tests, and it is also very interesting to watch, so if you are interested, do come and observe one or two of the tests. However, please note that only the dog being tested is allowed on or near the grounds during a test, so please do not bring your Boxers along for the ride! 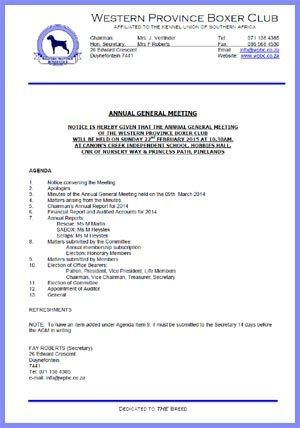 10 Mar 2015 Our club had its AGM on 22nd February 2015. The bad news is that two of our committee members decided to hang up their committee gloves: Our very competent Secretary, Fay Roberts, and Mike Bind. We are really sad to see them go, but we are very, very grateful for their contribution to the running of the club during the time they served on the committee. The good news is that three members were willing to join the ranks of the committee and we welcome Jennifer Neish, Renate Vorster and Marelize Wiese with open arms and a song in our hearts! We hope to have them on the committee for many years to come. Please direct all enquiries to info@wpbc.co.za or secretary@wpbc.co.za . For those of you who have paid your 2015 subscriptions, thanks very much. For those who have not yet renewed, please remember to do so soon, please! It was agreed at the AGM that the annual subscriptions will be increased as follows: SINGLE: R80.00 FAMILY: R100.00 LITTER: R50.00. These new fees will apply from January 2016. 10 Feb 2015 The next issue of our SCRAPS magazine will feature a tribute to Johan Kieser. If anyone would like to write something, send photos, tell a story or just send a short message, please do so before the end of February so that our editor can include it in the next issue. Please send an email to the editor, Marlien Heystek. All Clubs, Friends, colleagues are invited to attend this Gathering to Celebrate Johan’s Life. Any friends, colleagues wishing to speak briefly about their Memories of Johan or to send their memories by Email, kindly notify Council Secretary, Mrs Moira Serritslev by Wednesday 28th January 2015, to facilitate planning. To assist with catering please would you notify Secretary by Wednesday 28th January if you will be attending the Memorial. Sunday 25th January at Cannon's Creek Nursery School. Check out our EVENTS page for details! It is with deep regret that we advise that Johan Kieser was tragically murdered last week. Johan Kieser a wonderful dogman will be remembered in so many facets of dogdom in South Africa and Internationally. Johan’s affix “Tortuga” has run through many of our top winning Boxers for many years. 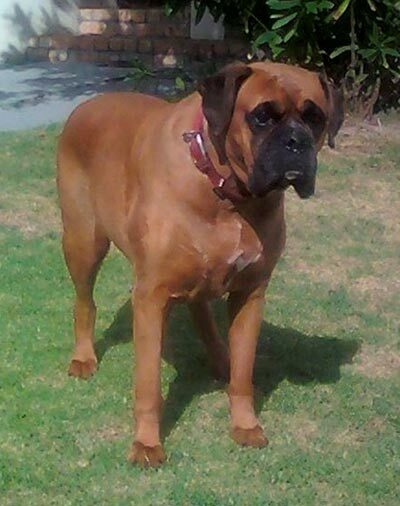 His knowledge and dedication to the Boxer Breed has always been foremost in his life. 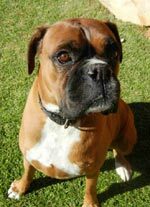 Johan served on many Committees, Exco, Federal Council, Western Cape Provincial Council, but his main love was for the Boxer Breed. 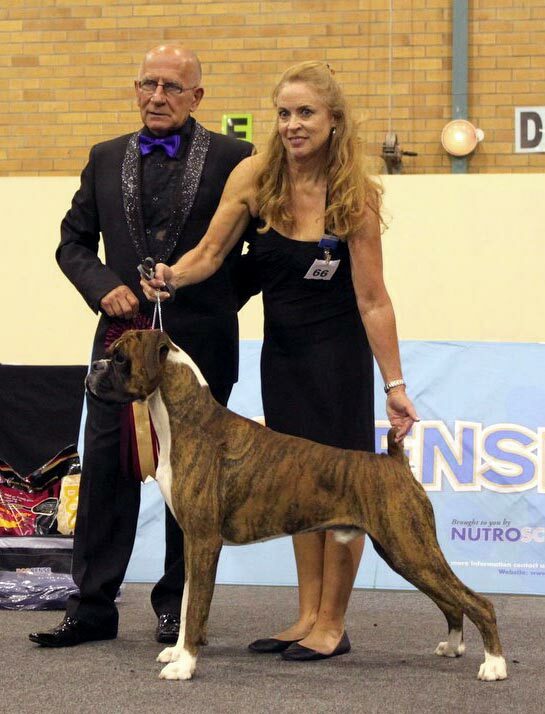 Johan served on the Kennel Association and during his time with Kennel Association he obtained sponsorship from Epol, was on the Task Team for Top Dog in 1990 and he pulled Breede Rivier Kennel Club back, in the Worcester days. He worked tirelessly on the Committee of the W P Boxer Club for many years. Johan will always be remembered as a perfect gentleman, respected in all areas of Dogdom, a genuine friend – missed by a great many people. The Kennel Union extends its deepest sympathy to his daughter Jeanne and his many friends. Download the Schedule for our Annual Championship Breed Specialty Show! To be held on Sunday 19th October at Jagtershof Rugby Club, Kuils River, Cape Town. 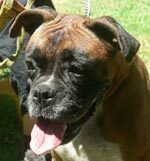 Held in conjunction with the Cape Town Kennel Club's Championship Show. 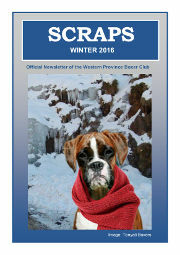 The Winter SCRAPS Newsletter has been published! Some lovely photos have been added to our SHOW GALLERY and FUN GALLERY! We have 2 lovely fawn girls up for adoption. Please visit our RESCUE page for details. 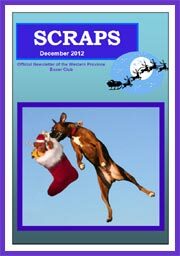 The December issue of the Scraps Newsletter as been published! The September issue of the Scraps Newsletter as been published! 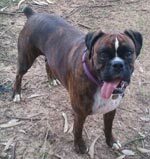 We have a very special Boxer looking for her forever home. Please visit our RESCUE page for details. 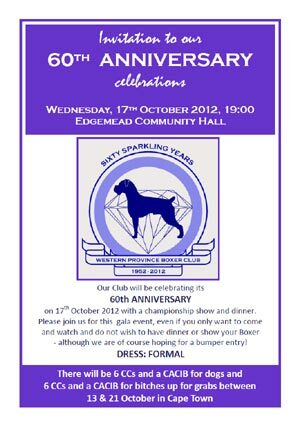 The Western Province Boxer Club celebrates its 60th Anniversary on 17th October with a special Championship Show and Dinner! Please click on the Invitation below for details! 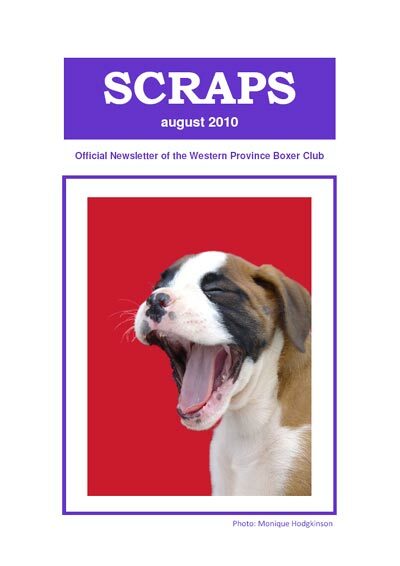 The July Issue of the Scraps Newsletter has been published! We have 4 very special Boxers looking for their forever homes. Please visit our RESCUE page for details. Sleepy photo added to our GALLERY! 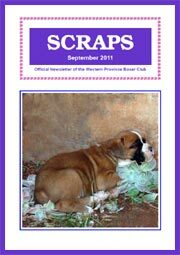 The March issue of the Scraps Newsletter has been published! Western Province Boxer Club Trophy Show! Please join us from 8:30 - judging starts at 9am. 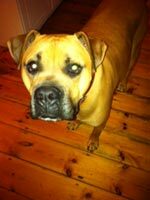 Please help find a Forever Home for Rufus, whose family is emmigrating to New Zealand in May. See our RESCUE page for details. 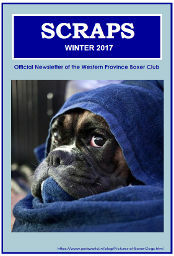 29 Jan 2012 The schedule for the Western Province Boxer Club's Trophy Show to be held on Sunday 10th March has been posted on our EVENTS page. Schedules for the Open Show on 5th February and the Championship Shows on 25th/26th February have been posted on our EVENTS page. Entries for the Championship Shows close on 1st February. Puppy Social and Ring Craft on Sunday 12th February at Canon’s Creek Independent School, Cnr of Nursery Way & Princess Path, Pinelands. See our EVENTS page for details. 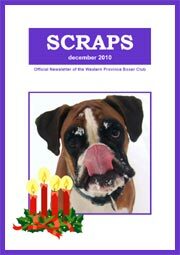 The December issue of the Scraps Newsletter has been published! Please help find a Forever Home for Layla, who needs that 'special someone' for Christmas. See our RESCUE page for details. Jacqui Verrinder's beautiful boy Dexter (Tortuga Jumpin Jack Flash) was crowned the Western Cape Top Working Dog 2011 at the prestigious Top Dog Competition on 26 November, judged by Mr Martin Croeser! 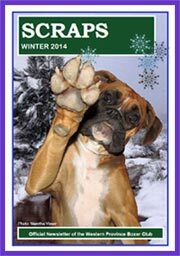 Please help find Forever Homes for special Boxers needing that 'special someone' for Christmas. See our RESCUE page for details. Sunday 6th November at Cannon's Creek Nursery School. Check out our EVENTS page for details! Cute photo added to our GALLERY! Please help us find a Forever Home for Mia. She is a 3 year 10 month old spayed female. Visit our RESCUE page for more details. The September issue of the Scraps Newsletter has been published! 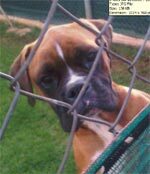 We have posted a cute photo in the PUPPY GALLERY! 05 Sept 2011 Schedules for upcoming Open and Championship Shows in the Cape in September and October have been posted on our EVENTS page. 31 Aug 2011 Puppy Social and Ringcraft this Sunday, 4th September at Canons Creek Independent School, Cnr Nursery Way & Princess Path, Pinelands. See our EVENTS page for more details. The schedule for the Working & Herding Breeds Club of the Cape's Championship Show to be held on 21st October has been posted. Click here to download the schedule. Western Province Boxer Club is holding an Aptitude Test on the weekend of 17th/18th September. Click here to download the schedule and enter your Boxer as soon as possible as there are limited places available. Sunday 31st July at Cannon's Creek Nursery School. Check out our EVENTS page for details! Annual Dog Walk and Breakfast! 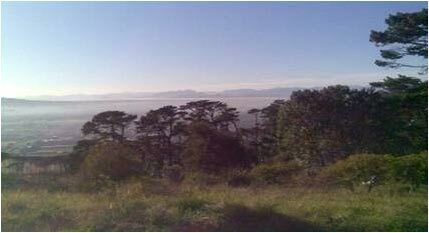 Join us on 9th August 2011 (Women's Day) for our Annual Dog Walk and Breakfast at Rhodes Memorial. Visit our EVENTS page for more details! 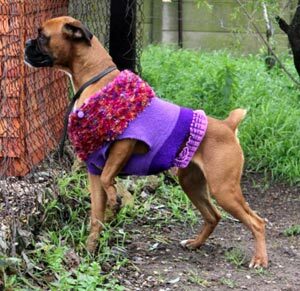 Please help us find Forever Homes for some special abandoned Boxers. See our RESCUE page for details. Ron is desperate for a new home. Visit our RESCUE page to read up about him. Please help us find a Forever Home for Luke (2 year old white male). Visit our RESCUE page for details. 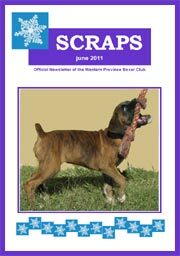 The June issue of the Scraps Newsletter has been posted! Lovely photos of a rescue success story! Oscar in his new home with his new pals. Check out the large pics in our GALLERY. We've posted a really cute photo in our FUN GALLERY of Phoebe at the dinner table! Please help us find a Forever Home for Oakley - a 3 year old spayed fawn and white female. Visit our RESCUE page for details. 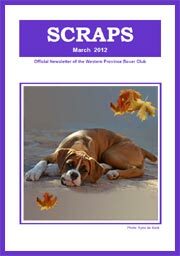 March 2011 Issue of Scraps has been published! Results from our Trophy Show held on 12th March have been posted on our EVENTS page!! Gorgeous photos posted in our PUPPIES GALLERY! 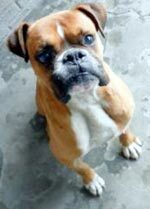 We have more Boxers looking for Forever Homes. Visit our RESCUE page for details. Chili is a 5 year old neutered male looking for a forever home. Please visit the RESCUE page for more details. 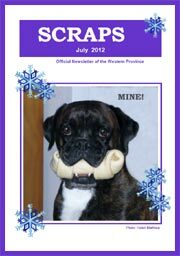 December Issue of Scraps has been published! 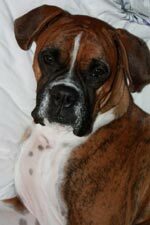 In loving memory of Leo, our 13 year old Boxer, who was a faithful companion and loving dog. He has now joined Peter his owner who has been waiting for the past 2 years for him. Rest well, we will never forget and stop loving you. 4 Nov 2010 We have posted all the show results from the October Championship Shows. Check out the EVENTS page for the full results. Please join us between 9 and 10.15am. We will have a puppy socialization get together and for those boxer enthusiasts keen to show, we will have ring craft practice. (boxers of any age & stage welcome). Last ring craft before championship shows. There will be the weekly obedience class taking place on another area of the field, so if you would like to come and watch that or arrange to join it, you are most welcome to have a chat with the trainer Rex Koning. All puppies welcome after 2nd inoculation. Please bring water for dogs, tasty treats and their favourite toy along. Please keep on collar and lead at all times. Please bring doggy poo bags along! 4 Sept 2010 Loads of schedules for upcoming Championship Breed Shows, Non Championship Disciplines Show, WODAC Breed Show, news on Puppy Social and Ring Craft training, Clicker Training workshop etc. Check out the EVENTS page for all the schedules and details. 27 Aug 2010 Schedule for the SABOX Breed Assessment to be held on Sunday 24th October has been posted on our EVENTS page. New photos posted in our Gallery and Puppy Gallery. Article on Kennel Cough posted on the HEALTH page. Schedule for the Liesbeek Kennel Club Open Show on 15 August has been posted on our EVENTS page. 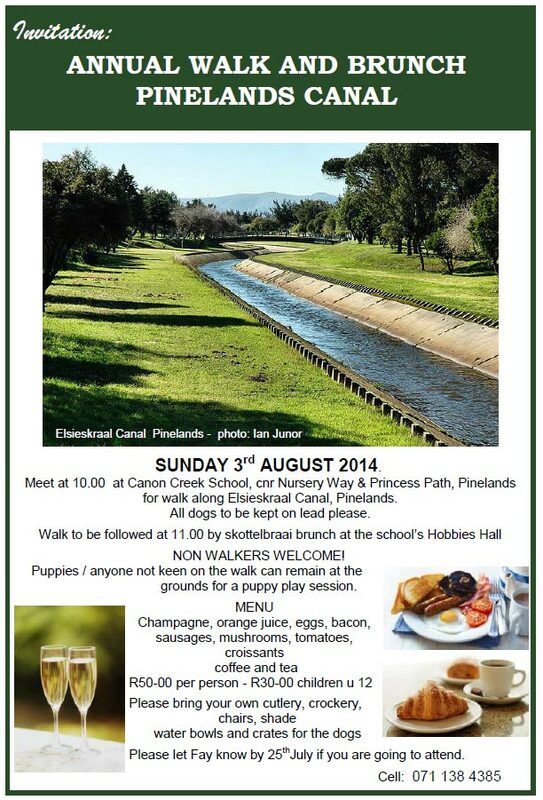 Information on the Annual Walk and Breakfast in the Tokai Forest on 29th August also on our EVENTS page. The August issue of Scraps has been published! Click here to download the PDF. Schedule posted for the SABOX Breed Assessment and Survey Procedures seminar to be held on Sunday 22nd Aug 2010 & 19th September 2010. Visit our EVENTS page to download the information. Dominic was born early morning as a dreadful storm raged through Cape Town. We had been without electricity for most of the night and the whelping room was full of candles (very romantic!) the litter subsequently being named after the dreadful weather. He was 2nd born, weighing in at a hefty 525g – he was a very big baby and grew into a very big adult. 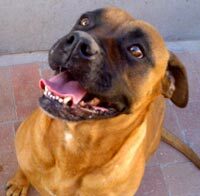 But what a gentle giant, I have never had a Boxer with such a sweet, sweet nature, loving and being loved by everybody. (OK, except Rogan!) He was an absolute clown leaping round in circles whenever he was happy, talking at the top of his voice - he could hold a long conversation with anyone willing to listen! 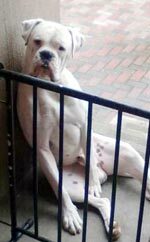 In his day, Dom did well in the show ring, earning his Championship status as soon as he won his maturity CC at 18 months. His last triumph was taking the CC at the WPBC show in 2009 as a veteran, but, unlike his sister Rafaela who adored showing, he could take or leave the show ring. He loved to attend the shows, but was just as happy observing at the ringside, giving all the youngsters advice! Dom had always been very healthy, but a few weeks ago he started having fainting episodes and after lots of tests we found had a tumor in his heart and an immune mediated anemia. He was treated in hospital and came home feeling much, much better when unexpectedly & totally unrelated he developed torsion and, as he would have been unable to tolerate the anaesthetic required for the surgery, I had to make the very difficult decision to say goodbye to my wonderful boy. There is a huge gap in my life, as Dom was such a fantastic companion, walking partner and adored friend. He was a true, true gentleman. I know it’s a wonderful place over the rainbows bridge, but I am going to miss you Dom, Nic, Pic my Bestest Boy in the Whole Wide World, Ever! We have loaded some new pics in our PUPPY GALLERY and our FUN GALLERY! More pics added to our puppy photo gallery! More pics added to our fun photo gallery! 2 gorgeous puppy pics added to our puppy photo gallery! 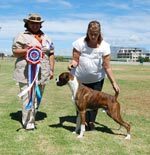 Show results from our Trophy and Discipline show held on 13th March 2010, Kennel Association's Championship Show on 27th Feb and Liesbeek Kennel Club's Championship Show on 28th Feb have been posted on our EVENTS page. 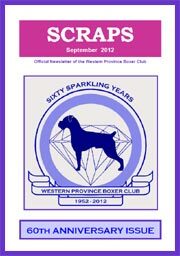 The history of the Western Province Boxer Club has been posted in the ABOUT US page! Check it out! It makes for interesting reading. 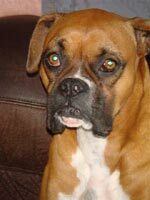 We've added a RESCUE page to help find 'forever homes' for the innocent Boxers that find themselves victims of circumstances beyond their control. 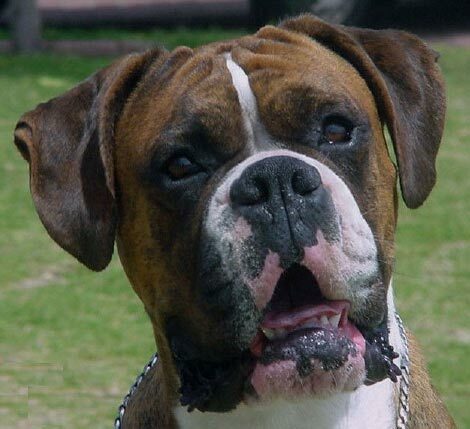 An interesting article on training a deaf dog on our BOXER HEALTH page. Our Member's Gallery has been split into 3 Galleries! 1 for puppy photos, 1 for show photos and 1 for fun photos! New pics uploaded! Committee for 2010 updated on the CONTACT US page. Check out who we are this year! Yesterday at 5pm we had our beloved Cracker put to sleep. He had spondylosis and suddenly started falling and slipping all over the place on Monday February 1st. It was sad to see him like this. 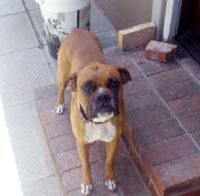 Cracker was the best boxer thing that ever happened to us. 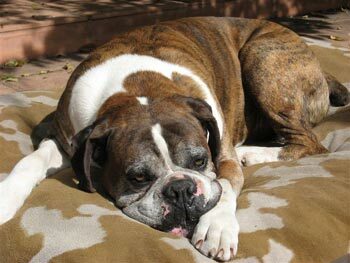 In terms of temperament and personality one couldn't ask for more in a boxer. As Caroline would say": "Best boxer you've ever had." He filled our lives with so much joy. We miss him and it will take a very long time to heal from this. He was eleven years and four months old. 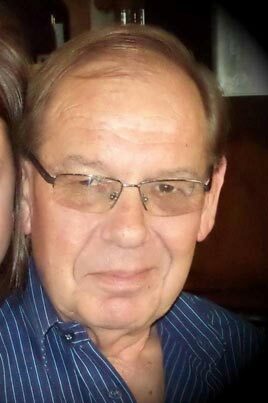 He was a part of everything we did,every decision we took whether it was to go to Pick and Pay or visit friends. His age and the appealing look when we went out, was the reason that for the past seven years we did not go on holiday because he always pined when in kennels. But yesterday we could see that he had come to the end - the end of an era. 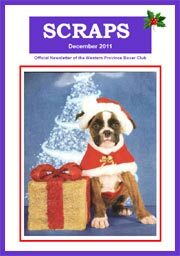 23 Jan 2010 Schedule for WPBC Non-Championship Breed and Discipline Show has been posted. See the EVENTS page. 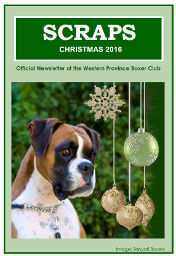 14 Dec 2009 The new Western Province Boxer Club website is launched!